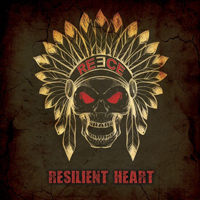 It doesn't take many seconds to realize you're in for a good ride giving “Resilient Heart” a spin. Opening track as well as first single “Any Time At All” is a modern sounding, melodic Heavy Metal track. And that's the key here; the album has a modern production, crisp, clear and full but musically, it is still about traditional style of Heavy music. Or, the REECE songs are, as much as they are right in between modern and classic, they hold that refined mellow touch from A.O.R without losing the Heavy Metal feel and beat. 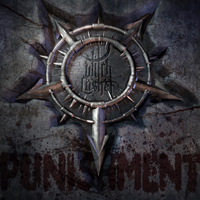 WITCH CASKET was formed in 2013 by two ex-SOTHIS members, and “Punishment” happens to be their second release which is also an EP as the previous studio effort “Hatred Index” was. If I am not terribly mistaken, SOTHIS had (or maybe still do) some Industrial elements in their music, so I was prepared to get something similar from WITCH CASKET. Since I am not a die-hard of Industrial Metal, I was happily surprised by the type of Metal the Californian band is laying out with the four songs included in the EP in question. 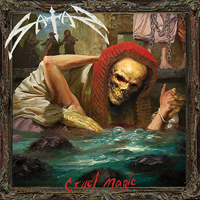 They say that “third time’s a charm” and this would apply to UK’s NWOBHM legends of SATAN if the two albums they released after 1987’s “Suspended Sentenced” would have been mediocre... Ha, not even close, because SATAN, as super-charged teenagers, have dropped two impressive LPs which continue the saga “Court In The Act” started 35 years ago. And this brings us to the charm titled “Cruel Magic” which has failed in every aspect to break the impressive winning streak these fine UK blokes have been on since 2013. Wooah! The easy and mellow beat strikes immediately. 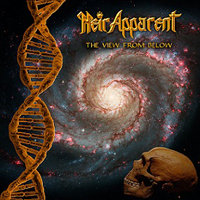 It's a slow moving groove that kicks off HEIR APPARENT's new “The View From Below” and it is right in the middle of the smooth sound of “One Small Voice” and the raw unpolished feel from “Graceful Inheritance”. It couldn't be more right? Well, opening track “Man In The Sky” is a monster of a song and raises things further. It constantly increases in intensity and the crescendo coming with the encore of the last chorus is phenomenal. The desperation in Will Shaw's voice makes the hair in my neck stand straight up. His voice is very crisp and clean, almost boyish which make it all very unique.